Royal Hill Condotel building C floor 4, 147 square meters on Thappraya Road, Jomtien. 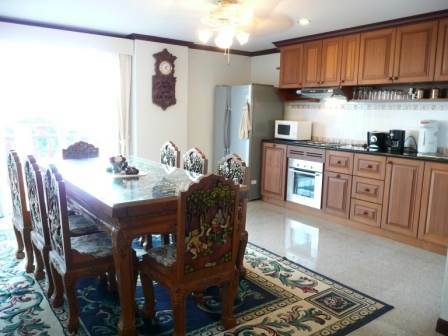 2 bedrooms, 2 bathrooms, one ensuite, European kitchen / diner, lounge. Cable TV + UBC Satellite with 50 inch home theatre and rear projection surround sound. 2 further TV’s in the bedrooms. Balconies with 60 degree sea view. Telephone and ADSL high-speed Internet. For sale at 6.6 million or rent at 53,000 Baht per month. Foreign ownership. Our reference JTC1056.